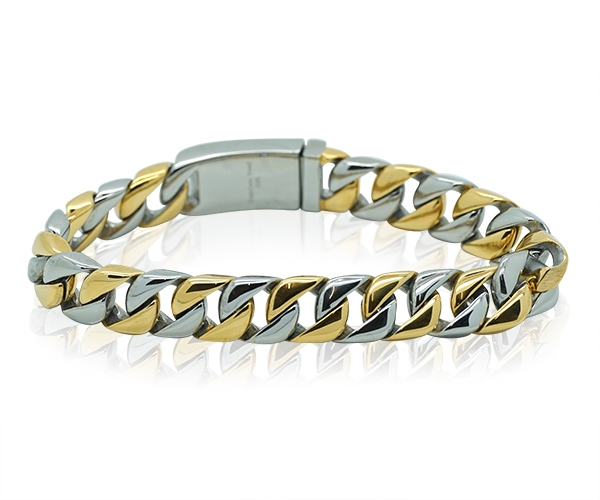 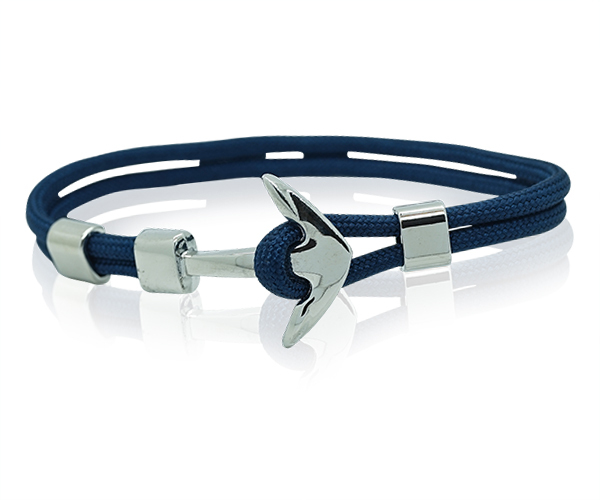 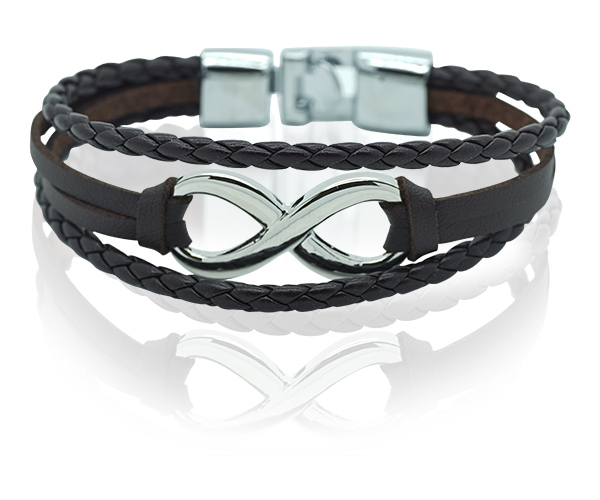 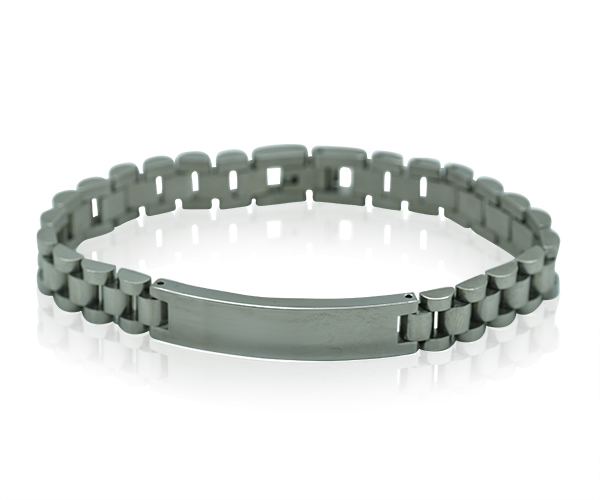 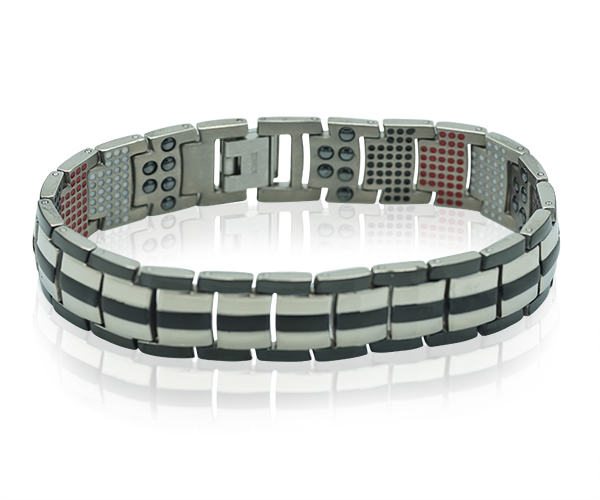 Several design elements come into play on this handsome bracelet. 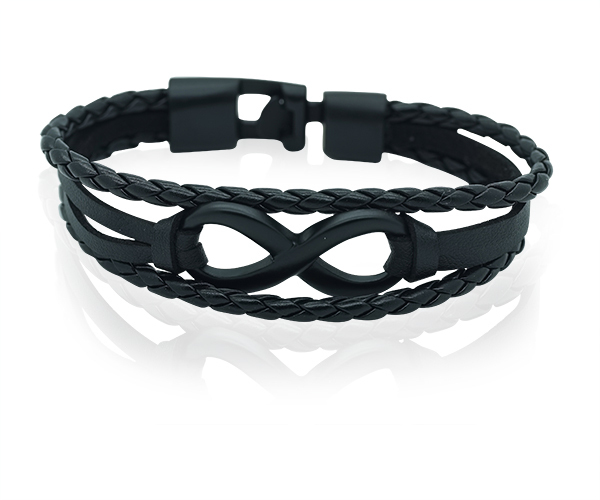 Braided for textural interest pairs with smooth inserts draw the eye and accent the cool centre piece. 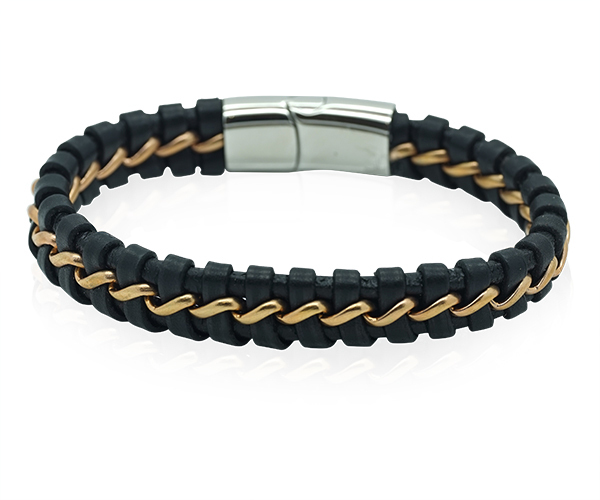 Just make sure you are ready for the attention this bracelet will attract.